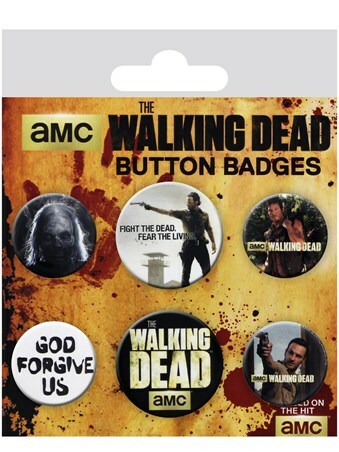 Television Badge Pack: Are you a fan of the adrenalin pumping AMC series 'The Walking Dead'? Then this brilliant badge pack is guaranteed to make your blood run cold. 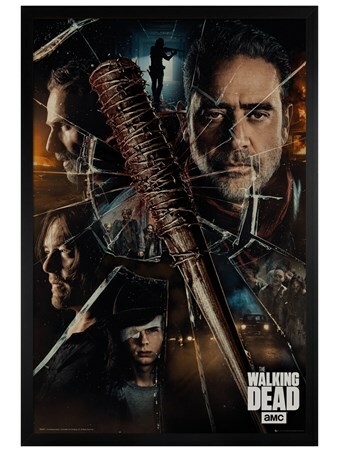 Featuring some of your favourite characters from the show including Rick Grimes, Daryl Dixon and even one of the hungry walkers, this creepy badge pack is the perfect way to keep prying eyes and fingers away from your possessions. So why not pin these badges to your favourite backpack and pray for forgiveness as you fight the dead and fear the living. High quality, framed God Forgive Us, The Walking Dead badge pack with a bespoke frame by our custom framing service.